I finished my daisy filled heart embroidery project. I stitched them in place with sewing thread. I love the sparkle they add to these daisies. This is the Ermine Stitch, the latest entry on my 100 Stitches Plus list. The Ermine Stitch is an isolated stitch but it also looks beautiful when repeated to create a decorative line of stitches. I learned this stitch from the excellent book Embroidery Stitches by Mary Webb. I have a new work in progress to share. This is a heart shape that is filled with large and small daisies. 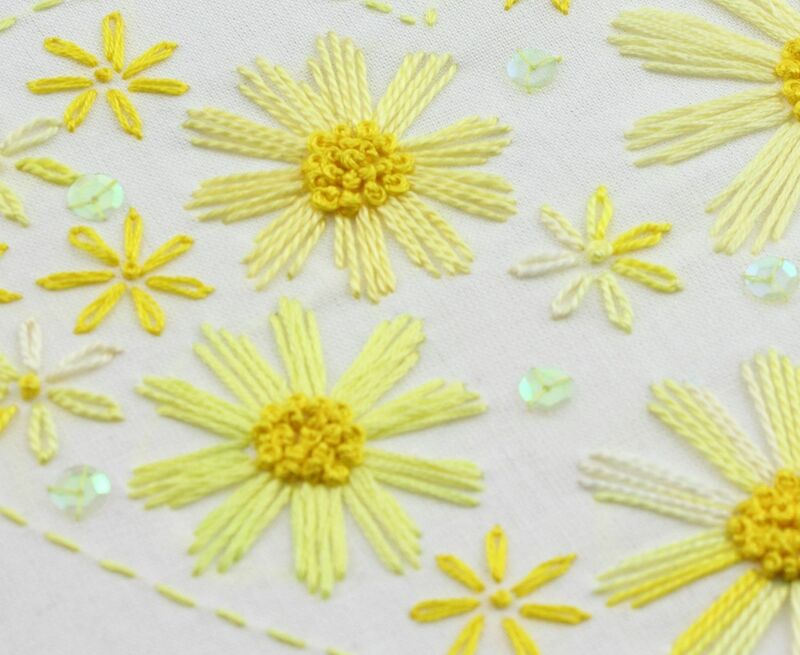 This is a motif from my Daisy embroidery pattern set. 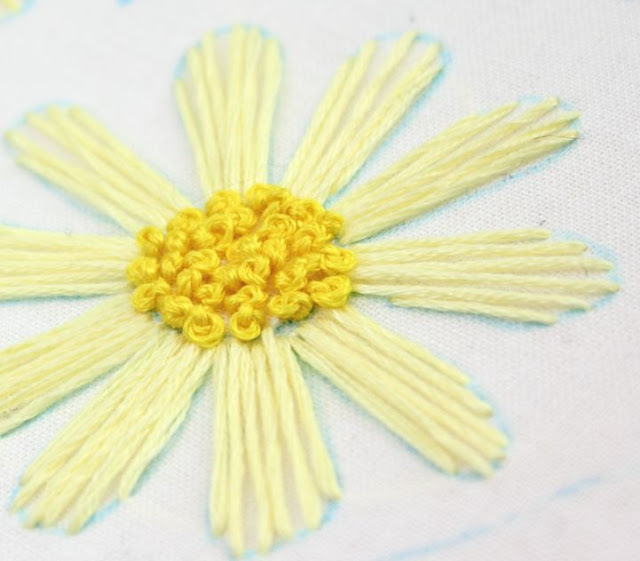 I am embroidering the large daisies with Straight Stitches and filling the centers with French Knots. I will do the Lazy Daisy stitch on the smaller daisies.